The classic still life is one of the few subjects you can paint which you have almost full control over. You are not vulnerable to changes in the environment or the subject just moving. As a result, still life subjects have allowed artists to really test what is possible in terms of brushwork, color and composition. In this post I will discuss some of the benefits of still life painting, provide you with some simple ideas for still life subjects to paint and feature some beautiful master paintings. You are able to paint in a controlled environment. You can control the light source, color temperature and composition. You don't need to worry about the light changing, the wind or your subject moving. It is fantastic for studying light, color and composition. The darks in still life painting are usually much deeper than what you will find in the landscape (due to atmospheric perspective and the stronger light from the sun). This allows you to paint with a very wide value range. Here are some easy still life subjects you should start with before moving on to the more complex arrangements. These subjects are not meant to result in a stunning painting (there is only so much you can do with a box or an egg) but they will give you a great foundation for still life painting. A box is one of the most basic subjects you could paint, but it is still a useful exercise especially if you are new to painting. It will teach you about how light and shadow is connected with form and how to create the illusion of a three-dimensional object on a flat surface. Painting an egg is a fantastic exercise to introduce you to still life painting and to study the way light and shadow work. It will also help you learn how to use gradation in your paintings. I suggest you start with just a monochrome palette then incorporate more colors if needed. A flower vase is slightly more complicated due to its shape. I would start with just the flower vase before including flowers in your composition. Flowers are an amazing subject but they tend to be difficult for beginners. 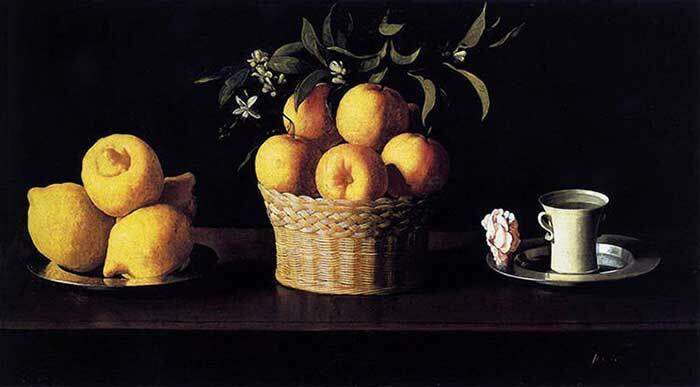 Here are some famous still life painters for inspiration. 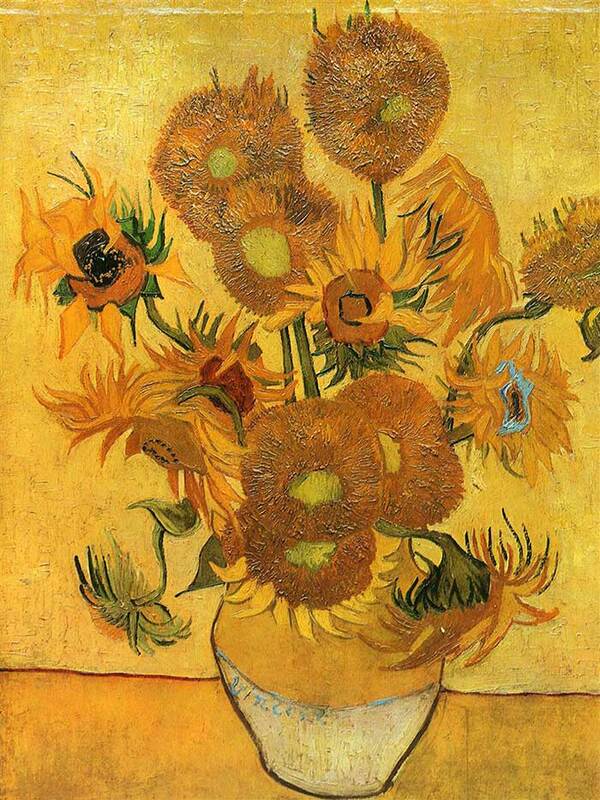 Vincent van Gogh created many energetic and vibrant paintings with otherwise bland subjects. 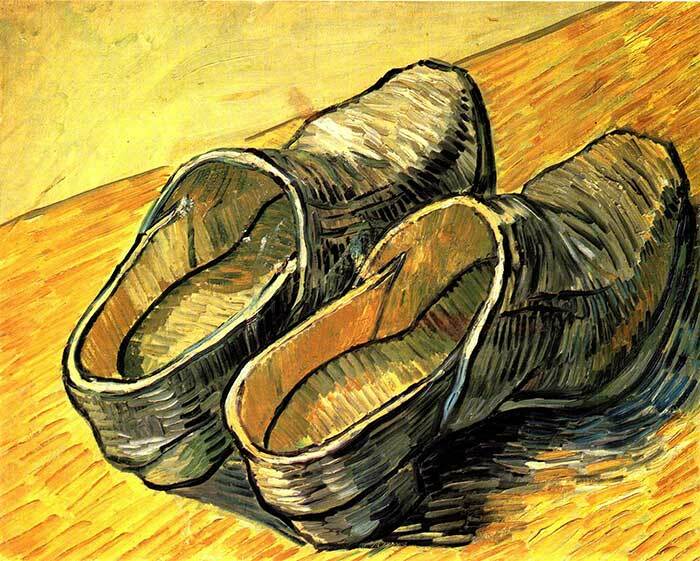 In the painting below of leather clogs, van Gogh made clever use of line to create the illusion of form. 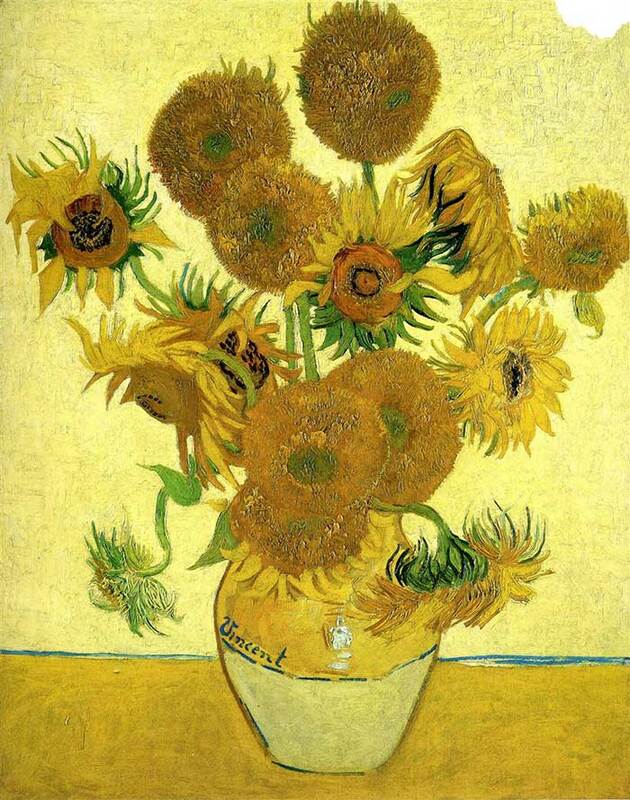 Below is just one of many paintings which van Gogh did featuring sunflowers. It is a stunning display of yellows and oranges. Also notice the interesting positioning of van Gogh's signature. It actually forms part of the subject. 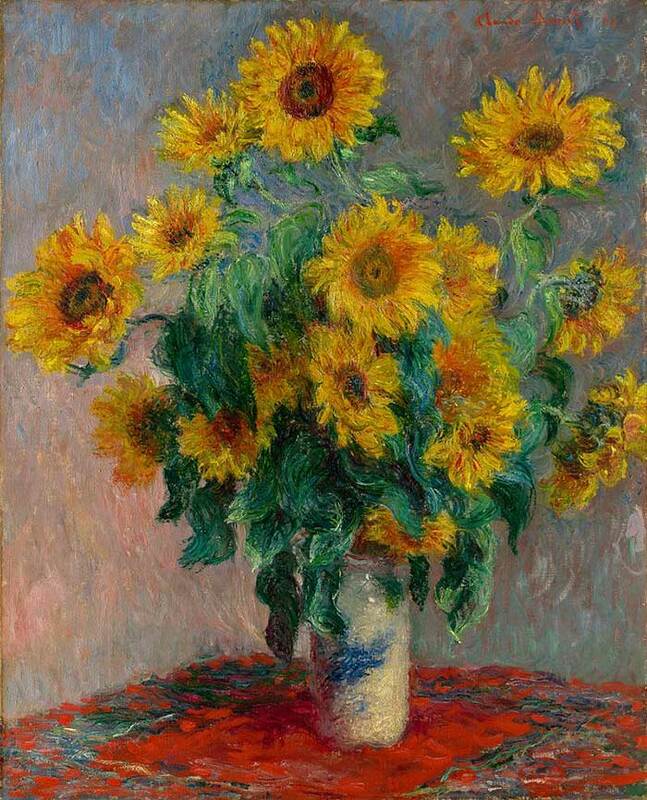 Beautiful still life paintings are not the first thing that comes to mind when I think of Claude Monet. He clearly preferred to paint the landscape, however he did use his exiting brushwork and color in several still lifes like the one below. This painting is much darker than the high-key landscapes we are used to from Monet. 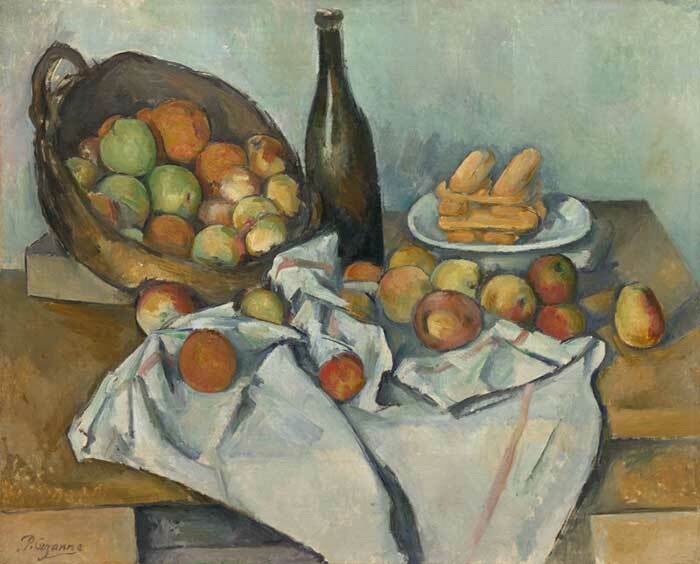 The still lifes by Paul Cézanne appear relatively dull in comparison to the more vibrant paintings by van Gogh and Monet featured earlier in this post, but no less beautiful. There is much you can learn in terms of composition from his still lifes, particularly his use of shape. 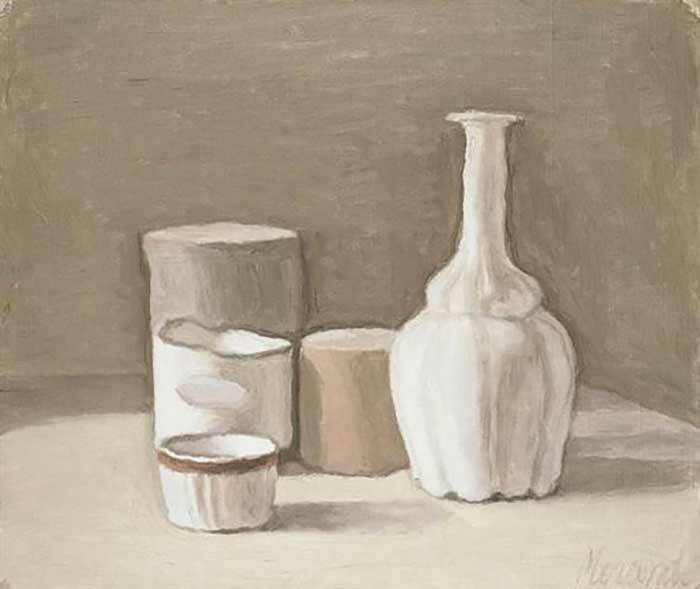 Giorgio Morandi was famous for his somewhat bland still life paintings like the one below. There is a sense of calmness about his paintings due to the lack of color and contrast. 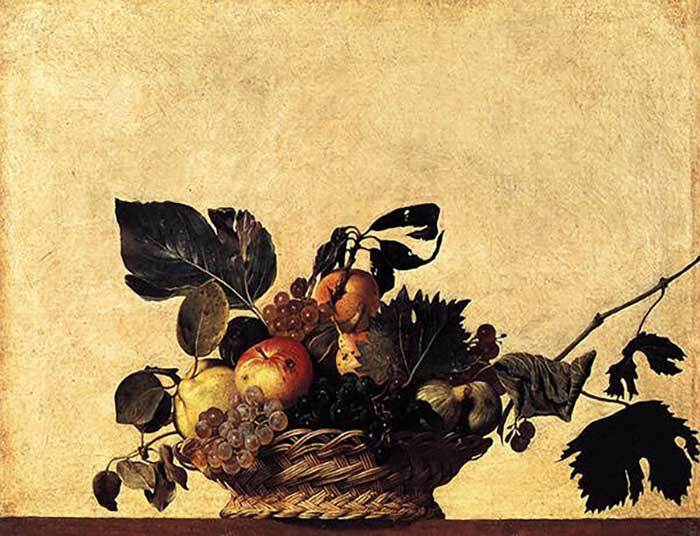 This painting was created all the way back in 1599 and demonstrates a very sharp contrast in value due to the almost black darks. In the paintings by the impressionists featured earlier in this post, the darks are much closer to the middle of the value range, and certainly nowhere near black. This allowed the impressionists to paint with much more color in the darks. The painting is very symmetrical (it does not seem like a natural arrangement). However, this just goes to show that the "rules" in art should not be taken literally. Sometimes, a broken rule can become a feature of the painting. 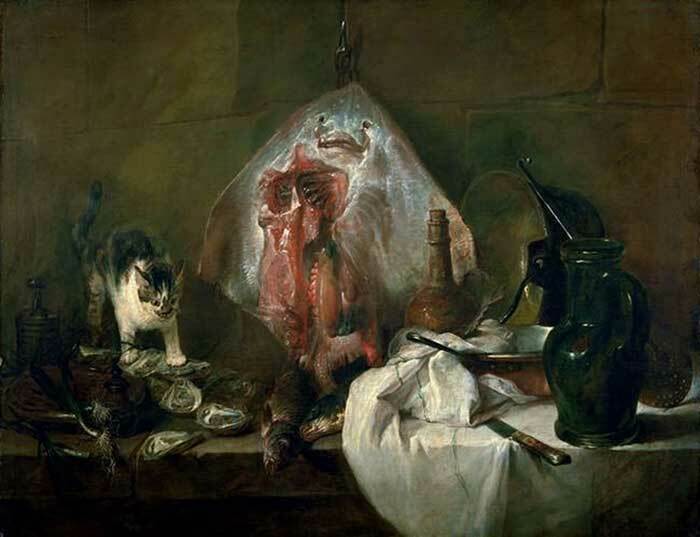 There is a lot going in on this moody painting with there being multiple points of interest (the ray, cat, fish and bottles). The artist made clever use of a dark surrounding and a gradation in lightness to really focus your attention on the important areas in the painting. This is a fantastic example of how to balance multiple points of interest in a painting. 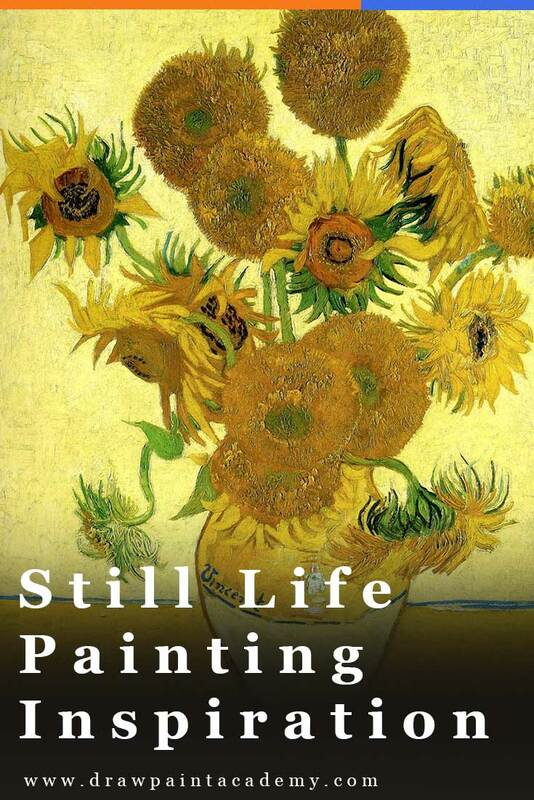 I hope you have enjoyed this post on still life painting. It is a fantastic way to learn about color, light and composition in a controlled environment and I think it is important that you practice it, at least to some extent even if you consider yourself a landscape, seascape or portrait painter. I am so grateful I came across your initial pinterest article and am super glad I agreed to receive your newsletters. They are full of good and succinct information with excellent links to support and elaborate for information. Kudos!